Any good health almanac will tell you that there is a particular set of basic lifestyle choices one must make in order to live a healthy life. Most of them are purely common sense, yet people struggle to adhere to them. Life can be full of burden and hardship, and there are a number of reasons why people become distracted from their health goals. But the fact of the matter is, nature intended people to live in a certain way, consuming certain foods, using our bodies athletically and using our intelligence to monitor our health. Living the way nature intended is the best bet a person has for achieving their optimal health. The first and most obvious means of monitoring one’s health is through diet. Humanity has long been aware of the ways that nutrition affects our health, but in modern times, we have developed a well-rounded philosophy of food as medicine itself. The natural foods of the earth contain vitamins, nutrients, enzymes, proteins, antioxidants and a number of other medicinal qualities that nourish our bodies. When we think critically about what we should eat for health, apply what we know to our eating habits, adhere to portion control and avoid substance abuse and unhealthy foods, we can achieve a very high level of physical health. Exercise and physical activity are another critical factor in the quest for optimal health. Our bodies were not meant to last forever, but staying active is a certain method of keeping the body functioning as well as possible, even into our senior years. Athletic activity is excellent for all the body’s systems, including circulatory, cardiovascular and the immune system. It is a way of managing weight and keeping all the vital organs functioning properly, as well as strengthening muscles in the body and keeping joints relaxed and lubricated. And lastly, in our present age of modern medicine, it is wise to make regular doctor’s visits and pay attention to medical opinions. Doctors have access to the information that is not common sense regarding health practices, and their diagnoses can mean the difference between sound health and poor health. It is critical to find a regular physician, make frequent appointents with them, follow their advice and take any medications as prescribed in order to achive your health goals. 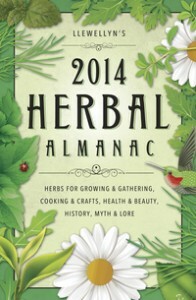 For current information on interesting health topics, acquire a copy of a recently released health almanac. When it comes to care of all your bodily systems, ranging from your teeth, eyes, heart and feet, medical opinions are unavoidably necessary and can mean the difference between life and death. Having a regular physician who is familiar with your health profile can make a world of difference in your ongoing physical health and wellness. When a physician is familiar with you personally, they are able to treat your whole person and practice preventative as well as diagnostic medicine on you. Having regular doctor’s exams is critical to your bodily health. Once or twice a year is essential to ensure that your basic wellness is where it should be. Routine physical exams include taking blood pressure, weight and basic chemical levels using bodily fluids. Any symptoms or changes in the body should be discussed with your physician. Depending on your age, other tests may apply to your routine exams as well, such as mammograms for women and prostate exams for men. Some people are guilty of making visits to their doctor but not following their advice carefully. Often, people will take their diagnosis too much into their own hands and adjust the doctor’s orders to suit their lifestyle and comfort. It is important to heed the advice of your doctor rather than pick and choose from their medical opinions. Any adjustments you make to their instructions may mean the difference between success or failure to your health goals. This includes being sure to take all necessary medications. North America is home to some of the best physicians in the world. In the United States, quality dental work, brain scan clinics and world renowned cardiologists operate practices in every corner of the country. In Canada, the medical industry is very diverse, ranging from the holistic medicine practiced in Vancouver to the laser eye surgery in Kelowna. Trust in modern medical opinions to keep your health at its peak. Teeth are made of calcium and enamel. The calcium is the hard bone material of teeth, and enamel is the outer layer of tissue that protects the tooth. We understand how to keep calcium levels high in order to strengthen teeth, but we are still learning how enamel works and how it might be replaced once it is lost. Several foods that are high in calcium and thus good for your teeth are kale, broccoli, milk and yogurt. Keeping your calcium intake high will strengthen teeth against age and decay. Several foods that are bad for your teeth are red wine due to its acidity, ice when it is chewed because it makes teeth brittle, anything containing white processed sugar and anything containing white flour. The best method of caring for your teeth is using an electric tooth brush, or just being diligent about moving a manual toothbrush in proper circular motions around your teeth and your gums. It is good to do this at least twice daily, an hour after meals, followed by flossing and a swish of mouthwash. There is a great deal you can do to care for your teeth on your own, but nothing replaces the necessary services of a quality dentist. Dentists and oral hygienists have the tools and the knowledge to prevent tooth decay, gingivitis and other tooth diseases. The cleanings and cavity prevention that the dentist contributes to are necessary to the health of your teeth. In Canada, the dental industry is one of the best in the world, and whether you require a dentist in the Okanagan Valley, Montreal or Toronto, you will not be disappointed by what is available to you. Recent health almanacs contain a wealth of information on how our diet and nutrition play a major role in our health and wellness. The adage “You are what you eat” is actually quite correct, when applied literally to our physical health. The food items we consume have a profound impact on our chemical make-up, which constitutes our physical matter. When food is consumed in a healthy way, our body chemistry is healthy. When food is consumed in an unhealthy way, our body chemistry is unhealthy. 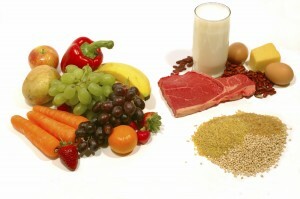 Keeping certain guidelines in mind about our food consumption is very important to our health. Firstly, it is beneficial to think of food as either medicinal or toxic rather than just being something you put in your mouth. There are very few foods that are neutral in nutrition. Most foods are a mix of good and bad chemical elements, and it is up to us to determine which are the most nutritious and which are the least. It starts by philosophically changing the way we look at food. In order to make food available to earth’s massive human population, we have resorted to creating and eating unnatural, processed foods rather than the ones we have been eating for tens of thousands of years. We also consume addictive things in excess, such as alcohol and fatty foods, which is a form of substance abuse. We must return to a more natural, plant based diet that resembles the one we evolved to consume. It is also critically important to think about how much of any given substance we consume. Portion control is one of the biggest contributors to obesity, stroke and heart disease in North America. Our portion control problems are severe in schools, restaurants, cafeterias and at home. If you are consuming more calories than you are burning through exercise, you will become overweight. It is not a sustainable way of eating. Rather than eating a small number of over-sized portions in a day, nutritionists are saying it is better to eat approximately six small meals in a day, which more closely resembles how we evolved to eat.